Whether you’re looking to adopt a child or terminate parental rights, this time is a tumultuous one. It’s likely you have hundreds of questions, and you are worried about the legal implications of the process. Knowledge is power in law. Understanding your rights, and what options you have can save you time and money no matter your situation. If you’ve started the adoption process, it’s likely you know how overwhelming and complicating it can be to navigate. All you want to do is adopt a child that needs the love and attention you can provide, but you end up surrounded by mounds of paperwork and appointments that take months to complete. It’s as if you’ll never reach that miraculous day when you can walk into your home with your child in hand. While the adoption process can be a difficult one to deal with, it’s well worth it when it’s all said and done. The legalities of the process are in place to protect not only the child, but you as well. The United States adoption process is set up to determine if the child and the prospective parent are a good fit for one another. Since many factors can come into play, it’s important that your rights are protected. You can protect those rights by learning more about the adoption laws in Kentucky. Any person that is 18 years old and over and has lived in the state for 12 months or more can adopt a child. A married couple must petition together to adopt a child. Those interested in adoption must go through a child placing institution. The secretary must approve the adoption in writing unless an adoption occurs by a relative, or the adoption occurs outside of the United States. Adoption for your baby may be the hardest thing you’ll ever do, but it is the most selfless, loving thing you’ll ever do. In the state of Kentucky, a mother can terminate parental rights upon birth of her child. If the father is known, he must also terminate his parental rights within sixty days of the birth before adoption can occur. The process starts with the birth mother filing a voluntary termination of parental rights petition. If the birth father is unknown, Kentucky law will terminate his rights. Both parents (if available), must stand before a judge, so an order can be made for termination. Adoption is a sensitive matter. While the process can seem confusing and complex, a legal representative can deliver peace of mind. 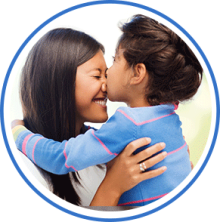 To ensure all of your rights are preserved, contact a Florence Kentucky adoption attorney. An attorney can answer all of the legal questions you have about the Kentucky adoption process, and guide you through all of the paperwork and court hearings you may need to attend. Adopting a baby or choosing adoption for your baby is one of life’s most challenging moments. Do it with confidence with the sound legal advice of a professional northern Kentucky attorney.